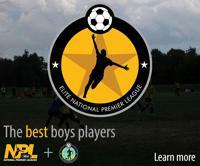 The 2019 Elite National Premier League (ENPL) National Playoff will be held June 28-July 2 at Mercyhealth Sportscore Two in Rockford, Ill., as the postseason platform debuts a new structure. The impressive complex – featuring 26 fields and an indoor sports center – has been awarded hosting privileges. In 2018, the ENPL Playoffs were held in two locations on the East and West Coasts. New in 2019, the ENPL National Playoff will feature qualifying 14-U through 19-U boys teams in one location and will welcome teams from all NPLs and Boys ECNL Conferences. The new format provides a pathway for all member teams to compete for national championships on the field. For 14-U through 17-U teams, this tournament is the first of a two-stage postseason with top teams advancing to the 2019 ENPL National Finals: top four from 14-U bracket and top eight of each 15-U, 16-U and 17-U divisions. The dates and location of the 2019 ENPL National Finals will be announced soon (UPDATE: Those details are available here). For 19-U teams, the 2019 ENPL National Playoff is a single-stage postseason with one national championship being awarded in Illinois.